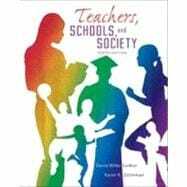 by Sadker, David M.; Zittleman, Karen; Sadker, Myra P.
The most reader friendly text in its field, the ninth edition presents a comprehensive overview of education in America. It provides in-depth commentary on educational history, philosophy, and governance, while giving special attention to current critical topics such as the changing federal role in educational finance.Newly revised for this edition, Chapter 4 (Life in School and at Home) now includes obesity, eating disorders, and a revised section on poverty. A major revision of Chapter 5, now titled Reforming America's Schools, includes updates from the stimulus plan based on new reports on federal programs and new funding formulas. Chapter 6 on Curriculum, Standards and Testing has a new section on emerging trends in the curriculum. Teaching Career – Is It Right For You? American Schools: Better Than We Think? Children: At Promise or At Risk? Cultural Literacy or Cultural Imperialism? Why Should Teachers Care Where the Money Comes From? Brand Name Education: Should Schools Be Open for Business? What Is Your Rights Quotient? What Are My Chances of Finding a Teaching Position? Who Are My Teaching Colleagues? What Are the Demographics of Today’s Teachers? What Are My Chances for Earning a Decent Salary? Do Private Schools Pay Less than Public Schools? How Do I Apply for a Teaching Job? Do I Need a Resume or a Portfolio? How Do I Prepare for a Successful Interview? What Do I Need in Order to Teach – A License or Certification? By the Way, What’s the Difference? If I Want to Teach in Another State, Do I need Another Teacher’s License? What Are “Alternative” Or Non-Traditional Routes To Getting A Teacher’s License? What Are Teacher Competency Tests? How Do Teaching Contracts Work? What Are Some Advantages of Tenure? What Are Some Disadvantages of Tenure? What Kinds of Educational Careers Are Available Beyond Classroom Teaching?